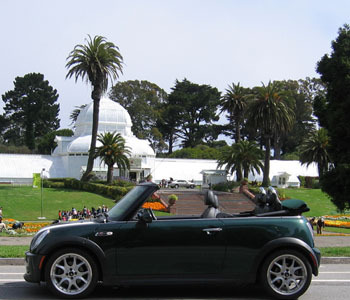 New custom private tour–the “Silvia.” See the North Coast, Russian River, and Wine Country in the convertible MINI Cooper. I recently had a great experience with a guest, Silvia, a world traveler from Switzerland. After taking her on a 6 hour private tour of San Francisco and Muir Woods, she booked me 2 days later to show her the surrounding Bay Area. She said whenever she travels (and she’s been all over the world), she not only likes to see the city, but the countryside that is nearby. This way, she said, she feels like she gets to know more about the city. Plus it’s fun. And since she could customize her private tour anyway she wanted, I was at her service. She wanted to see all the diversity that Northern California has to offer. 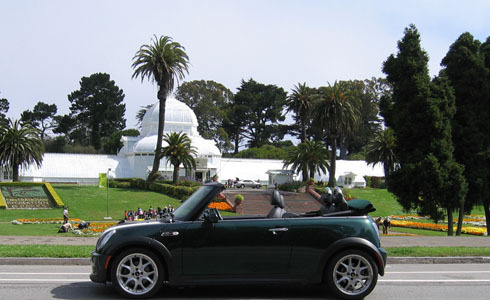 So we started driving the convertible MINI up the coast, stopping in Bodega Bay for coffee, and continuing to highway 116. There we turned along the Russian River, and drove through Monte Rio and Guerneville, where we were surrounded by redwood trees. Then down through Sebastopol to the Sonoma and Napa wine countries. And Silvia could just relax and enjoy it all, because she didn’t have to focus on driving. 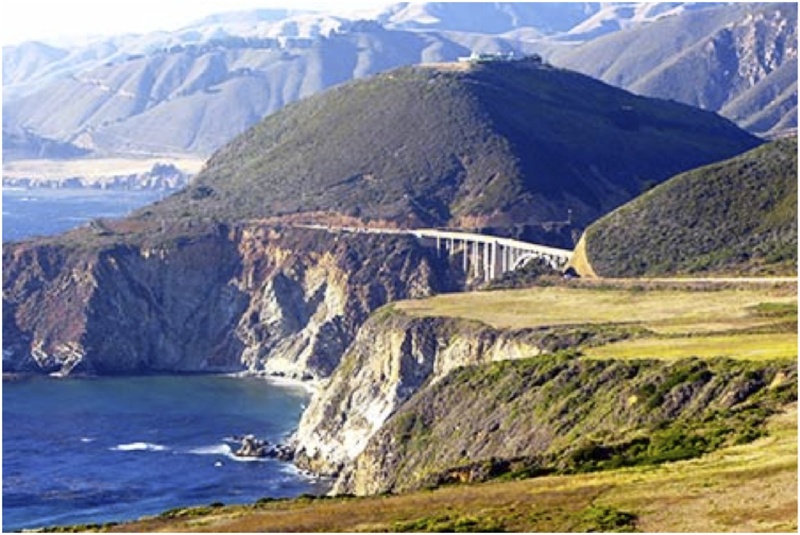 It was a great experience, and driving along in this beautiful Northern California scenery in a convertible is considered to be a “real California” adventure. It was so much fun, I decided to offer it as a tour, and name it after the guest who inspired it. 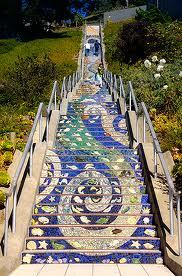 The 16th Ave. Tiled Steps — beautiful views, beautiful mosaic, and way off the usual path. But taking in the tiles is just one part of the fun. 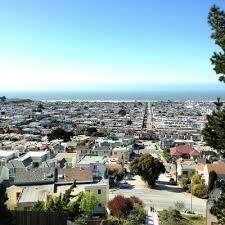 Climb the stairs, and you get treated to an amazing view of the Pacific Ocean. Big Tour buses are not allowed in the neighborhood, and it is located far enough away from Golden Gate Park that very few visitors make the trek to discover the 16th Ave. steps. But for the adventurous, it is worth it, and will be one of those experiences to brag about back home. Of course, if you don’t want to walk, I can take you there on a custom private tour as well.